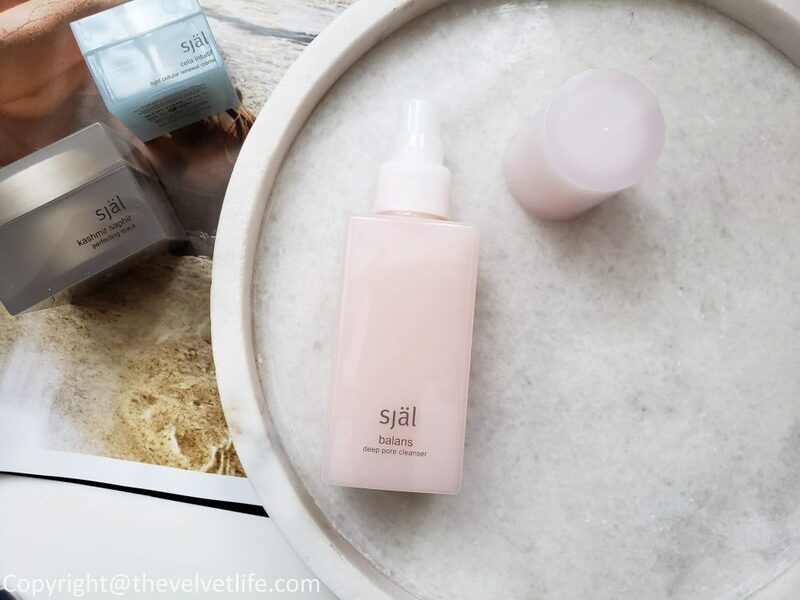 I have been using the Sjal Balans deep pore cleanser, Sjal Kashmir Saphir perfecting mask, and Sjal Cela Intuitif Light Cellular Brightening & Renewal Cream in my skincare routine and have been so glad to have them in the rotation. All the love and praise this line gets are all real. 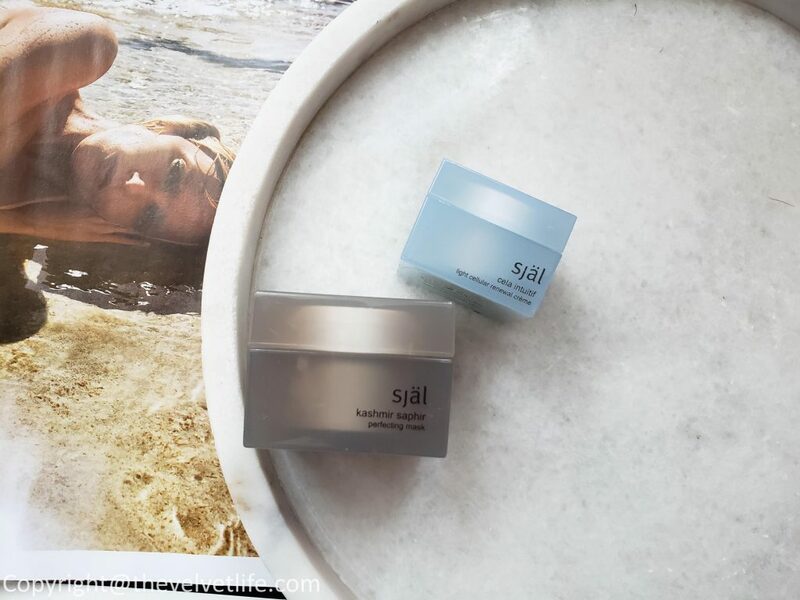 Sjal Balans Deep Pore Cleanser is a luxurious, non-foaming, aqueous gel-crème cleanser that delivers instant hydration, calming and soothing benefits while detoxifying skin, minimizing pores and brightening the complexion. Removes excess sebum and helps protect against moisture loss and irritation, leaving skin cleansed, radiant, nourished, toned, and lifted. A refined, modern version of a classic deep pore cleanser. It is suitable for all skin types. Contains silver and gold colloidal which are known as natural anti-bacterials and antimicrobials helping to balance and calm skin. The key ingredients include African whitewood extract, bio-adhesion moisture complex, and fig extract. The gemstones/minerals in this cleanser are silver, gold, pearl, and rose quartz. I apply this cleanser to dry or damp skin, then massage gently and rinse off. It has one of the most luxurious texture and is very easy to use. The skin feels clean, soft, and radiant. I use this as my second or third cleanser in the evening and as my first cleanser in the morning. There are a beautiful radiance and freshness I feel when I use this cleanser, the skin feels so comfortable using this. I notice no breakouts, or congested pores while using this. 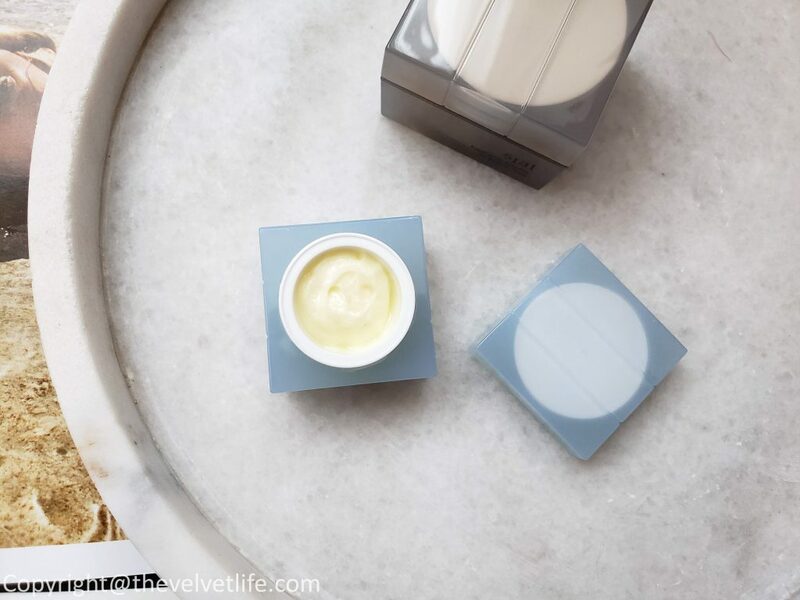 This is a beautiful ritual in my skincare routine which I enjoy using. Helps to balance, restore and even skin tone with blue sapphire, silk proteins, bio-chemical tissue salts. The key ingredients include amino acid complex, biochemical tissue salts, silk proteins, oxygenating herbs, and royal jelly. the gemstones/minerals in this mask include gold, platinum, blue sapphire, and blue copper. I apply this mask on my cleansed skin from face to decollete, avoiding the eye area twice a week. Leave this on for 15-20 minutes and then rinse with warm water. I follow with my serum and night cream after it. My skin feels soft, calm, and even. 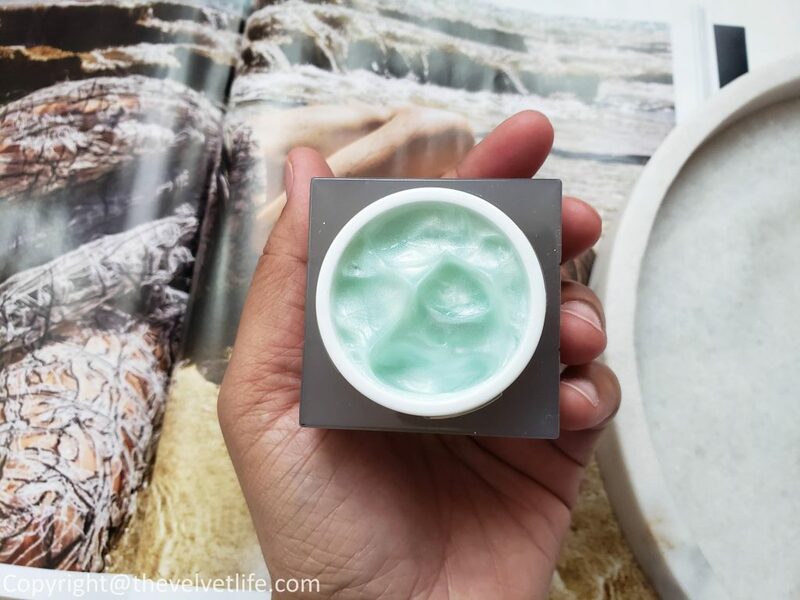 It is a really nice addition to my masks which is helping me keep my problem skin in control and I have noticed negligible congestion, breakouts, and any irritation or sensitivity on my skin while having this on rotation. Indeed, this mask deserves to be on my top 5 masks for keeping my skin calm, even, and radiant. My skin has the glow from within feel and look, this mask is wonderful and highly recommend you for a glowing, even, and decongested skin. My skin looks both restored and regenerated, clearer and brighter. The key ingredients are advanced brightening peptide, oil soluble vitamin c, sjal renuva complex, platinum peptide, super oxide dismutase, red algae extract, and matrixyl 3000. The gemstones/minerals in the cream are själ signature gemstone blend: sapphire, diamond, amethyst, citrine, ruby, quartz, and tourmaline , gold, platinum, and pearl. It can be used day and night but I prefer using this at night. I apply this with my fingertips from face to decollete and gently massage on the skin. It is an amazing cream for oily and combination skin. The cream sinks into the skin without any residue or heavy feeling. It does not clog pores and keeps my skin balanced. My skin tone looks more even and even in this hot weather, it has been a great addition and I think it is great for all year long in all weather conditions. 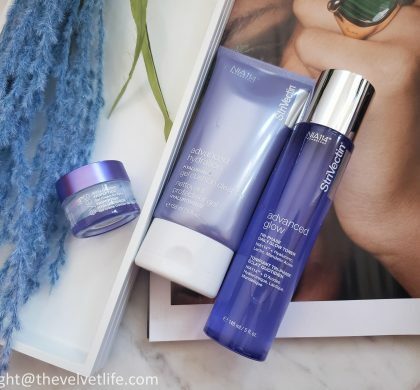 I believe in using good skincare not just for immediate effects but I do understand the importance of long-term effects on my skin of what I use today. 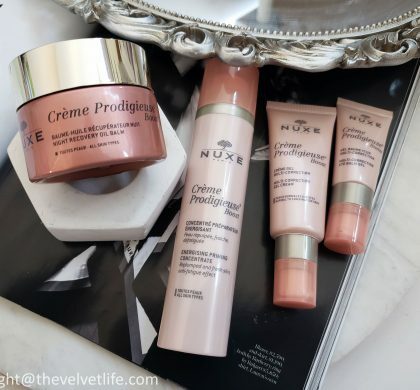 I am really impressed with the three products I have talked about in this editorial and really do plan to always have these in the rotation in my skincare routine as well as trying more from the brand. 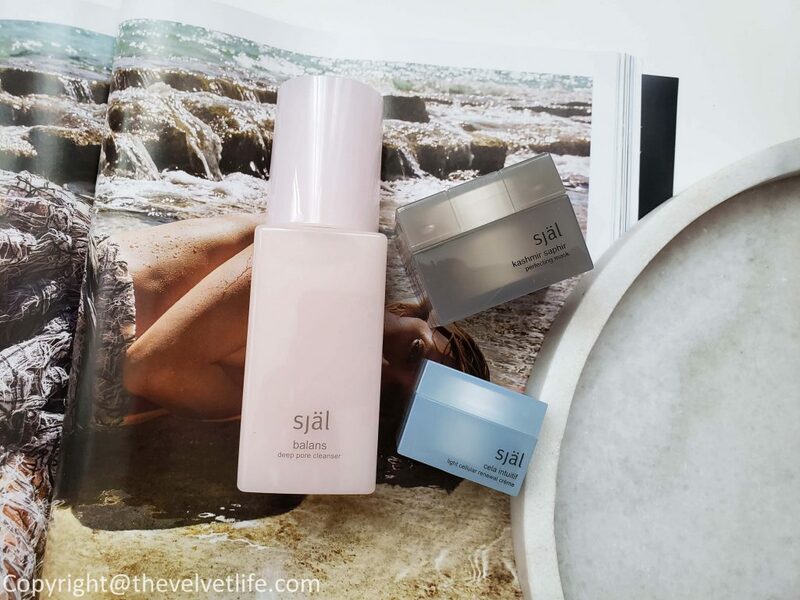 I highly recommend you to check out Sjal if you are serious about your skin and understand the importance of skincare. With all the benefits of skincare and technology, incorporating principles of eastern medicine focused on balancing energy within the mind, body, and soul as fundamental to nurturing beauty and well-being. Combined with the latest advances in biotechnology, quantum physics, and frequency. 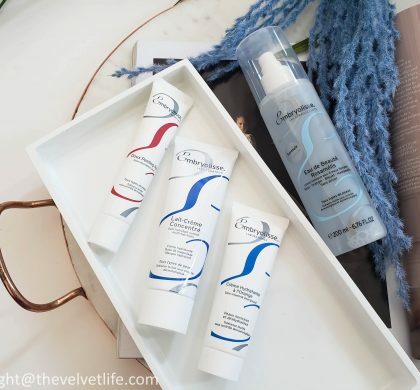 The products are free of harsh chemicals and fillers, so whatever you put on your face will work towards what it is created for. 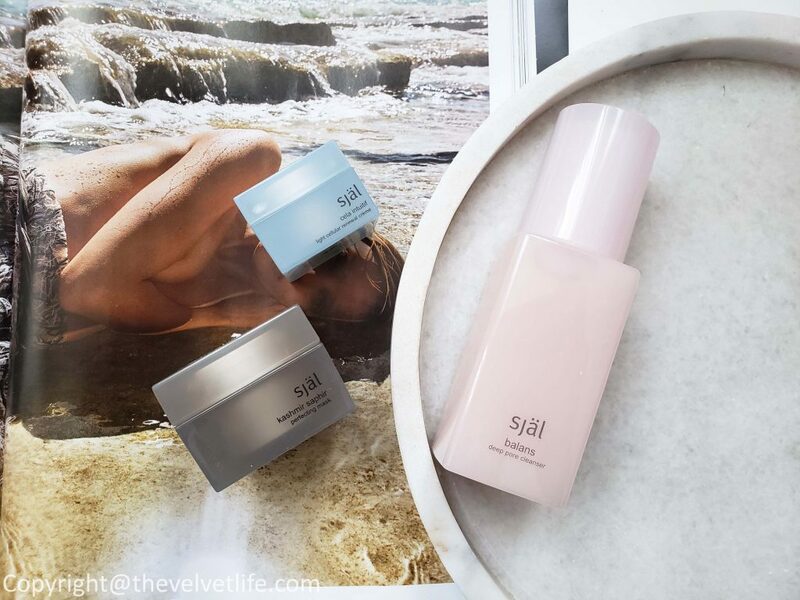 Sjal skincare is available online at sjalskincare.com and International shipping is available, Spacenk, Bloomingdales, kissandmakeupstore.com (in Canada), Barneys NY, and LookFantastic.